Orange and white kitty: Jasper. We orange-and-white-kitty-lovers share a special sentiment about our furry friends: there is rarely a more handsome combination of cat colors. 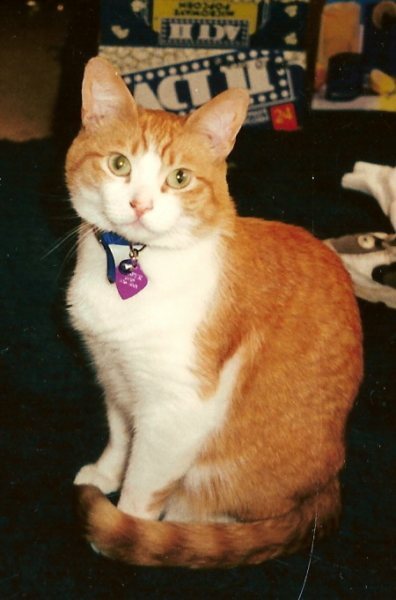 Harley, my own orange and white, was a real handsome dude. Gadora loved the way darker, deeper stripes raced down the orange of his neck. I adored how pristine and white his belly and paws were against the rest. I lost count after the first million kisses I planted on his adorably pink nose. And I especially loved the way his eyes would vacillate between a coat-matching orange, lemon yellow and chartreuse… but I digress. 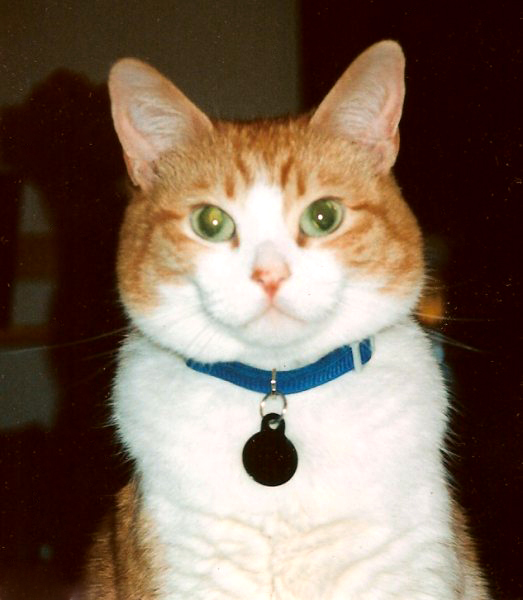 “Unfortunately most of my pictures of Jasper are pre-digital camera so they aren’t that great. I’ve tried to enlarge two of them. Let me know if these will work.” They did. His portrait delivered to Tucson, and Nicole promptly responded, “You completely captured him and we are so grateful. I couldn’t wait until Father’s Day to give it to my husband so I showed him right away. He immediately had tears in his eyes. Thank you so much!! !” Yey. 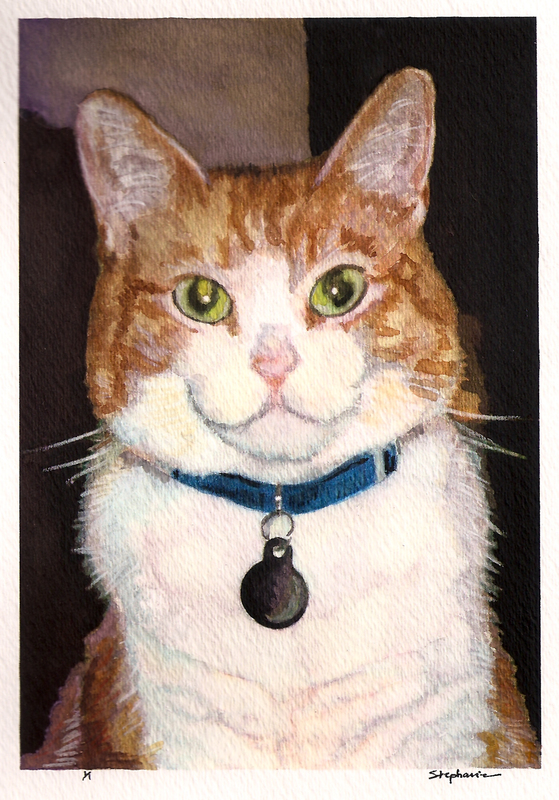 Posted on June 19, 2010 November 7, 2012 by gadorawilderPosted in ANIMAL PRINTSTagged animal print, cat, House Cat, tabby cat, water color. Is there anything I should do other than framing it to make sure it lasts forever? Nicole. Nicole before I sent Jasper to you, I applied a light coating of matte “finish” to the watercolor. Keep him away from water—and the sun—and think about taking him to a professional framer. They will place him in his mat (and frame) with acid-free tape. I’m SOOO happy you are pleased. Thank you!